Terje Isungset is one of Europe’s most accomplished and innovativepercussionists. With over two decades experience in jazz and Scandinavian music, he is taking these types of music far beyond their traditional boundaries, becoming more like a cross between a sound artist and a shaman. Crafting his own instruments from Norwegian natural elements such as arctic birch, granite, slate, sheep bells and even ice, he is highly recommended to those sensible to the poetry and simplicity of sounds. In the book Percussion Profiles Isungset was given a thorough presentation, as one of the worlds 25 most creative percussionists.He has been given the Norwegian awards ”Jazz musician of the year” and ”Composer of the year”. On the 10th of december, he didperform at the huge Nobel gala banquetin Stockholm. 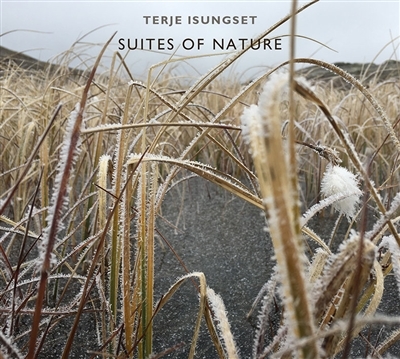 On the 24th of december, Isungset is releasing4 new albums, gatheredin one; ”Suites of nature”. All the four albums are related to life on earth in general. The music might be inspired by music itself, the four seasons or abstract landscape. All performed on instruments coming from nature itself: stones, slate, pieces of wood, a rams horn, animal bells, old drums, mouth harps and percussion. All music is recorded in Norway during three days in 2015. Some in Lærdal lydstudio and some in the amazing Emmanuel Vigeland Mausoleum-Oslo, with it ´s extreme 12 second long reverb. Composer and musician: Terje Isungset.